This photobook is introduces a beautiful plankton floating in the ocean of the night. It is the unknown figure of creatures approaching the coast when many people are sleeping. Taking the extremely small figure as a photograph. There was a world to be entranced, colors and figures and ecology. A beautifully mysterious figure that captured many years of sticky shooting.The first photo collection after receiving the Nikkei National Geographic Photography Award Grand Prix! This book has five chapters. Chapter 1 Adaptation for Floating, Chapter 2 Art for Defense, Chapter 3 Minimal Jewels, Chapter 4 Cradle of Deep Sea, Chapter 5 Reason of Transparency. Jellyfish which 90% of the body is made of moisture is one of "plankton" which floats swiftly in the sea or the sea. If you look at such a jellyfish, you will be healed while you do not know. What creature are they? Why are they transparent? Why there are poisons? What is the cultural history of people charmed by jellyfish? etc. 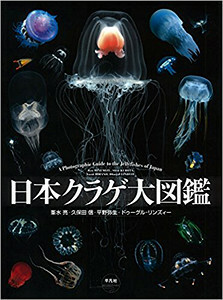 A book to understand about mysterious Jellyfish and to experience "throb" with underwater photographer Ryo Minemizu's beautiful photos. 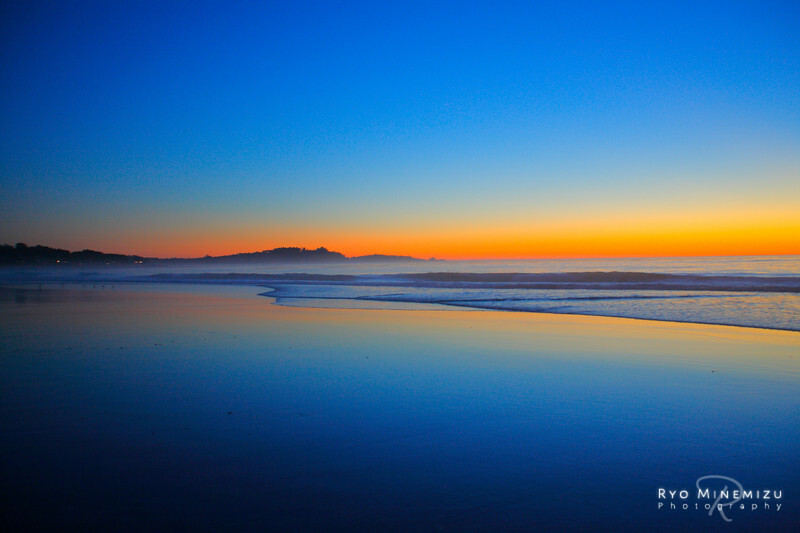 Photographer Ryo MINEMIZU took over 18 years. The ultimate pictorial book of jellyfish with 360 A-4 pages consisting of 900 stunningly beautiful photos of 350 species living in their natural habitat, with explanation by leading experts of the relevant fields. Not only exhibiting the jellyfish of shallow sea to deep sea, this book encompassed a wide variety of marine plankton, introducing the amazing and diverse world of invertebrates of the sea. Enjoy this book also as a photo collection unveiling the free and graceful world of invertebrates which capture our hearts. 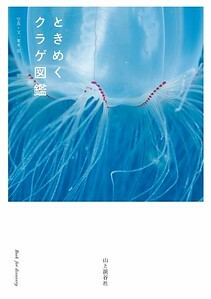 It would be a wonderful gift for jellyfish fans from children to adults. 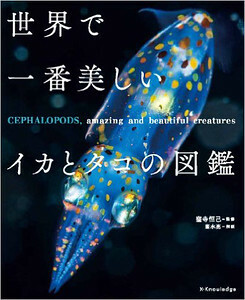 Pocket version of "The most beautiful squid and octopus picture book in the world" released in 2014. Included species of carefully selected from among. It became a more affordable price. The commentary is on opposite side of the photo, making it easy to reading. 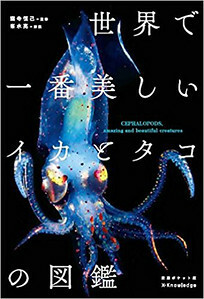 A unique pictorial book with photos of beautiful squids and octopuses from all over the world (comes with “Gyotaku” fish print). It exhibits all kinds of cephalopods including squids – a most amazing creature - from the smallest in the world at 2 centimeters long to the largest Giant Squid, plus strange and beautiful octopuses making their habitat on tidal land to the deep sea, and conveying their unique charms. 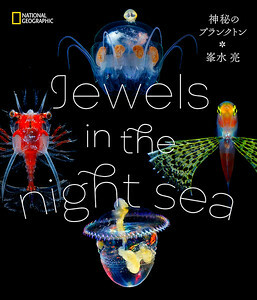 Their habitat, size, fascinating shapes, colors and how they live are introduced by beautiful photos of these creatures taken in their natural habitat, with detailed explanations provided by Ryo Minemizu, a Japanese underwater photographer who has been ocean diving around the world and is well versed with academic knowledge. Supervised by Tsunemi KUBODERA, a leading researcher of Giant Squid, National Museum of Nature and Science, Japan. For underwater photography techniques, which requires different equipment from other nature photography and is restricted in many ways. It is important to undertake the imaging of the shooting beforehand. Also, if shooting living creatures such as fish, you must figure out how to capture the moment you want to shoot. This book introduces photography techniques itemized by shooting object and location with actual production and shooting data, making the most of various photographing equipment from compact digital cameras to DSLRs. 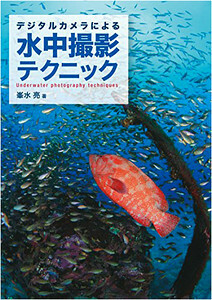 A must read for underwater photography enthusiasts - beginners and veterans alike. A pictorial book of shrimps that divers cannot miss. 266 species of shrimps which can be observed in the coral reef area - from the seashore to the depth of 30 meters - are covered. With detailed data such as habitat environment, symbiotic relationship, features of appearance, good places for photographing, depth of water and body length, on top of beautiful ecology photographs, this book will help you identify shrimps easily. To understand symbiotic relationships and habitat environment, all of the posted pictures were taken in their natural habitat. Up-to-date with the latest information as of 2013, including newly named species and families. 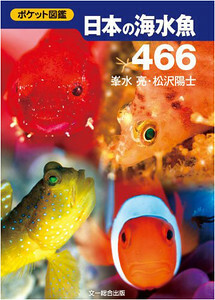 466 kinds of Marine fish commonly observed while diving in Japan are documented. Beside ecology photographs of adult fish, colored variations and pictures of juveniles are also posted. 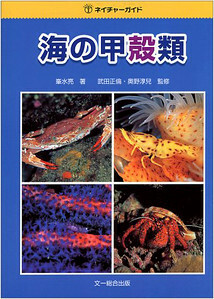 In addition to basic information such as size, distribution and habitat, the commentary includes interesting features and the way those creatures live from a diver's perspective. A pocket-size book easy to carry for divers with heavy equipment, with a page layout that allows divers to compare with the digital photos they have taken without hassle. Suitable for divers who wish to learn fish names. 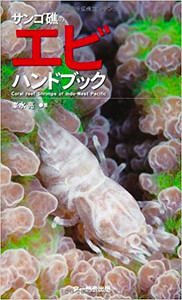 530 species of large crustaceans observed in seaside of Japan (from the tidal flat to depth of about 70 m) such as shrimps, crabs, hermit crabs and mantis shrimps are introduced with some 800 color photographs, taken in their natural habitat. In addition to typical-size adults, color variants, male and female differences, juvenile individuals and biological behaviors are exhibited.